Or so David Threlfall would have us believe as he reprises his role alongside the ever-enigmatic Rufus Hound. The performance airing at the Garrick Theatre is a masterwork of comedy, drama and sorrow that leaves audiences both laughing and in fear for their hero’s life. 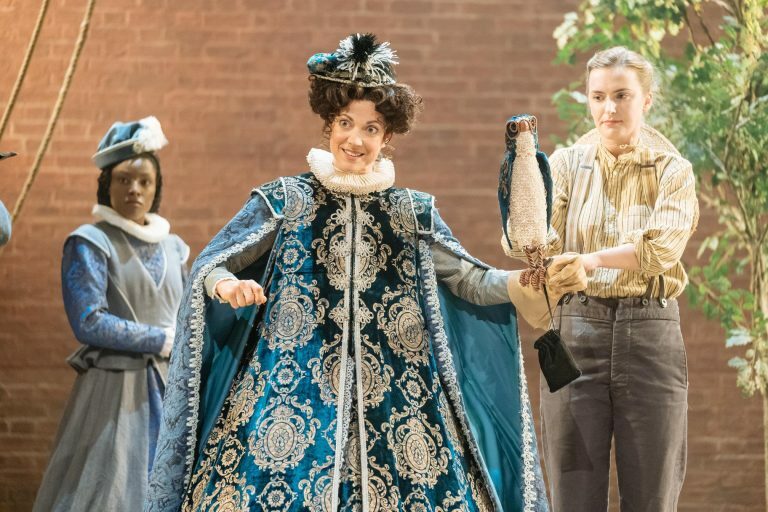 The Royal Shakespeare Company are performing these shows in honour of the 400th anniversary of Cervantes’ death, and the original writer’s famous work is here adapted by the poet James Fenton. David Threlfall, it must be said, excellently portrays the maddened Don Quixote, even to such a degree that audience members may question whether he is soberer than one’s self. It is delightful to see the stage, which at times displays much mundanity, become through the eyes of another a world far more enchanting and amazing than our own; and for this Threlfall should certainly be praised. Meanwhile, Rufus Hound brings a dry and at times pun-filled air of comic genius to the stage, fully exploiting the fourth wall dynamic of the production and in many cases involving the audience. A real test arrived with an unplanned fire alarm mid-performance – and rather than losing his cool, Hound took the whole thing in his stride, keeping the audience laughing in the face of a potential threat (which did later turn out to be a false one). The saying “The Show Must Go On” has never been truer! An eclectic ensemble play their part when given the opportunity – many cast members receive laughs and rounds of applause during the performance in fact, displaying if nothing else the audience’s appreciation of their efforts. By the end of the performance a standing ovation was given and it was easy to see that the love between David and Rufus went as deep as their characters’, embracing each other as good friends. I am a writer and reviewer in East London. I spend my free time Scuba diving, drinking, and baking. I think it's important to notice the little things.